Three faculty members are among the University of Texas System educators honored with 2016 Regents’ Outstanding Teaching Awards for excellence in the classroom. 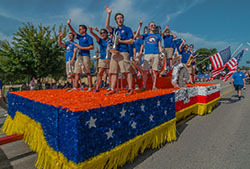 The 2016 UTA honorees are Ashley Griffith, assistant professor of earth and environmental sciences; Christopher Kribs, professor of mathematics and curriculum and instruction; and James Campbell Quick, the John and Judy Goolsby-Jacqualyn A. Fouse Endowed Chair in the College of Business’ Department of Management. The new University events calendar debuts today. The cloud-based system includes a fresh, modern, mobile-friendly interface; social media integration; personalized calendar views; embedded maps; and much more. Find the new calendar at https://events.uta.edu/ and read more on the introductory page. Student organization events are automatically imported to the calendar from the MavOrgs website. Visit the Have Your Say website to share your thoughts, cheers, and suggestions about UTA’s growth. A new class of students are needed for the Leadership Honors Program, a multi-year, flexible leadership development program. For details, go to the Leadership Honors Program website or contact Lan Ahn Nguyen at lananh@uta.edu. 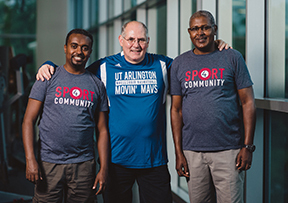 The U.S. Department of State chose UTA as the host site for two international delegates who want to bring adaptive sports to the deaf population in Ethiopia. Watch the video. High school seniors from Native American tribes across the United States and Canada are on campus for academic activities, camaraderie, and competition that culminates with the 14th annual Native All-Star Football Classic at Maverick Stadium. The Native All-Star Football Classic between the Blue Eagles and Red Hawks begins at 7 p.m. Saturday, July 2. Tickets are $10 for adults and free for children age 5 and younger. Read more. New high-definition monitors are on every floor in the Central Library above the call buttons for the main elevators. This will allow patrons to learn about the programs offered at the UTA Libraries as well as timely announcements from campus groups and clubs. Your department or organization can broadcast a message across the branch libraries at no cost. Email Kyle Pinkos at kpinkos@uta.edu for more information and graphic specifications for advertising submissions. The Office of University Recruitment is hiring students as MavElite tour guides at the Dan Dipert University Welcome Center (SNAP Job ID #9083). The application deadline is Wednesday, July 13. New tour guides will start at the beginning of the fall semester. Four parking areas will be used on game days when the Dallas Wings play at College Park Center. The next game is Saturday, July 2. Read more. Independence Day holiday; no classes. Registration is continuing for the second summer session and fall 2016. Advising is available in your academic department. The MyMav schedule of classes is being updated daily. Plan to validate your course selections closer to the start of the session. 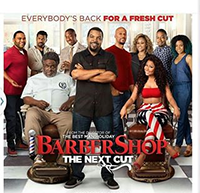 Free Outdoor Movie: 'Barbershop: The Next Cut ' Rated PG-13. Bring a chair or a blanket, a picnic, and friends for outdoor movies each Thursday. Free popcorn. Upcoming movies are Space Jam (PG), July 14; The Boss (R), July 21; and The Jungle Book (PG), July 28. Free. 9 p.m., lawn behind the Maverick Activities Center. EXCEL Campus Activities. Dallas Wings Dallas Wings vs. Connecticut Sun. Tickets $15-$50. 7:30 p.m., College Park Center. Second baseman Darien McLemore and catcher Brady Cox were named to the All-South Central Region team, as announced by the American Baseball Coaches Association. Both will be eligible for All-America honors to be voted on by the coaches association at the upcoming College World Series. Freshman Alexus Henry earned honorable mention All-America honors from the U.S. Track and Field & Cross Country Coaches Association after tying for 17th place in the women's high jump at the NCAA Championships. Upcoming intramural sport deadlines are billiards, June 30; badminton, July 12; basketball, July 13; poker, July 21; and MavStrong, Aug. 11.